10-year-old haredi boy dies in hospital after suffocating in an elevator in Beit Shemesh. A 10-year-old haredi boy died on Friday at the Hadassah Ein Kerem Hospital after suffocating in an elevator in Beit Shemesh earlier this week. A preliminary investigation revealed that the child, Yehiel Sussman, entered the elevator with the intention of going downstairs to a playground, and grabbed a rope that was there. Upon entering the elevator he did not notice that the end of the rope was outside the elevator. As the elevator began to descend, the rope around the child's neck and hand began to tighten. Another child who was at the scene alerted a passerby who called rescue forces. 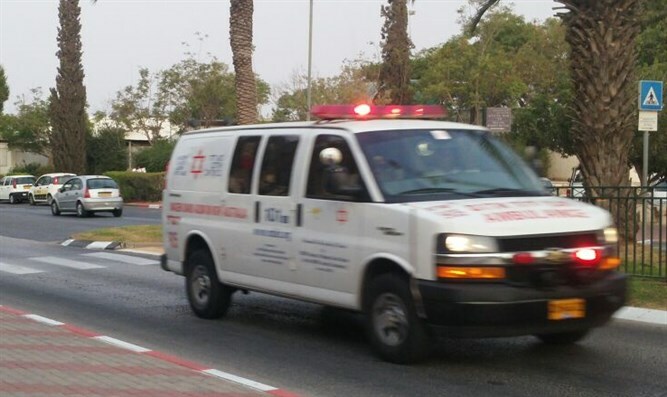 Magen David Adom paramedics arrived at the scene and treated the child, who was in critical condition, and evacuated him for treatment at the hospital, where he died.